SUGAR LAND, TX— The Sugar Land Skeeters and the Skeeters Foundation announced today that they raised $140,695 in gross proceeds from their inaugural season of the 50/50 raffle, netting approximately $56,000 for charities in Fort Bend County and surrounding areas. The Foundation's mission is to insure that all children have access to a healthy lifestyle regardless of any physical, economic or social limitations they may have. The Skeeters’ net total from their 50/50 raffle placed them at No. 9 amongst minor league baseball teams. The Skeeters Baseball Foundation also helped raise approximately $30,000 through the fifth annual Sugar Land Skeeters Kickball Classic, which was held in late September. Thanks to the funds raised through the 50/50 raffle and Kickball Classic, the Skeeters Baseball Foundation donated grants to organizations such as Alief YMCA, Boys and Girls Club, Arc of Fort Bend, Hope For Three and the Dream League. Along with the Skeeters, the Lancaster Barnstormers, Somerset Patriots and York Revolution make up the other organizations in the Atlantic League of Professional Baseball with 50/50 raffles. 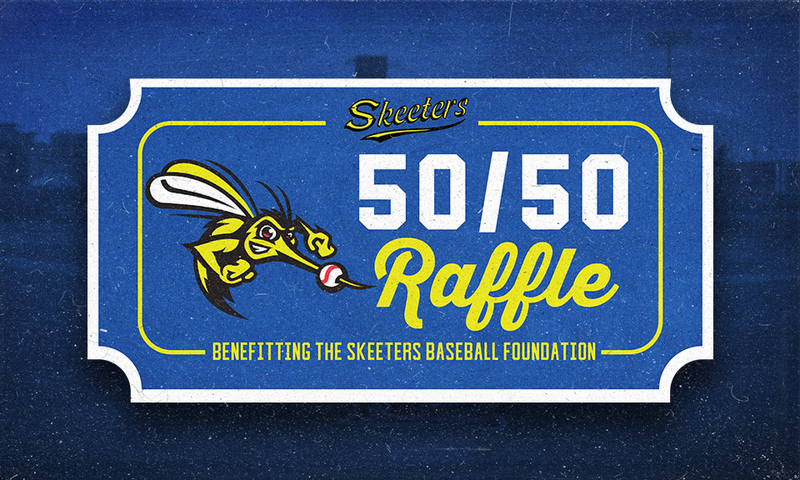 The Skeeters fell just $1,870 short of matching the net combined total from the 50/50 raffles of all other ALPB teams. The Skeeters’ 50/50 raffle was paced by a banner weekend from June 29-July 1, in which over $20,000 was raised through the raffle during a three-game series against Lancaster. The raffle reached a season-high total of $10,855 on June 29. The 50/50 raffled raised $44,315 in the month of June, which was its highest monthly total, and it placed fourth in minor league baseball in the month of May ($24,810), which was its highest overall monthly finish.